Eugene C. Edwards graduated from Ohio Wesleyan University in 1976 with a bachelor’s degree in Politics and Government. Mr. Edwards earned his Juris Doctor degree from the University of Akron School of Law in 1980. He was admitted to the Ohio Bar in 1980 and the U.S. District Court for the northern District of Ohio in 1981, and he began his legal career as a general practitioner in Akron, Ohio. Mr. Edwards relocated to Chicago in 1981 and was admitted to the Illinois bar in 1983, the U.S. District Court for the Northern District of Illinois in 1983, and the U.S. Court of Appeals for the Seventh Circuit in 1993. 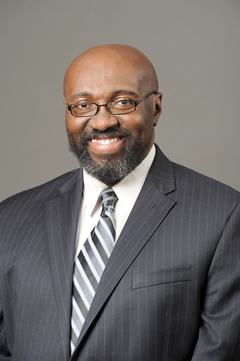 He served as a fellow, staff attorney and managing attorney at the Cook County Legal Assistance Foundation from 1981until 2000, and as a supervising attorney at the Legal Assistance Foundation from 2000 until 2012 in south suburban Cook County, where his practice included school discipline, special education, and student residency issues. Mr. Edwards has handled complex litigation cases under the Illinois School Code, Family and Medical Leave Act, the Civil Rights Act of 1964, and the Illinois Unemployment Compensation Act that resulted in several published decisions. Mr. Edwards has served as trainer for the Illinois Department of Children and Family Services education liaisons, the Statewide Legal Services conference and the Cook County Bar Association. He has also served as a guest speaker at many local elementary, middle and high schools. In 2006, he was awarded the Chicago Bar Foundations’ Thomas H. Morsch Public Service Award in recognition of his extraordinary service to the legal profession. Mr. Edwards is a member of the American and Illinois Bar Associations and the National and Illinois Councils of School Attorneys.